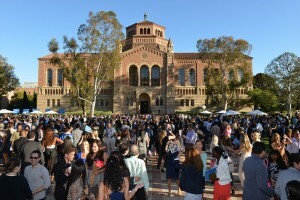 June 25th was UCLA Extension’s 2013 Graduation Ceremony. All the graduates gathered with family and friends at Royce for the ceremony. UCLA Extension Landscape Architecture Program Alumni and Instructor Paul Comstock was the keynote speaker for the event. 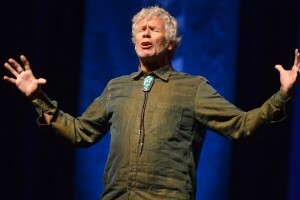 After handing out yellow roses to all the lucky students in the front row, Paul went on to give an animated speech, reminding all the graduates “Do Not get distracted!” His message of following your dreams in the face of life’s daily pressures is one that current students would enjoy as well. You may watch the whole ceremony on Live Stream and see Paul’s talk for yourself. Paul Comstock is the head of Comstock Studio. Formerly the Director of Landscape Design for Walt Disney Imagineering, his designs reflect a unique level of pan-geographic experience, natural artistry and cross-cultural creativity. Among his most significant accomplishments, Comstock is credited as the chief landscape architect and designer of Disney’s Animal Kingdom. He has also designed landscapes on a consultative basis for the Los Angeles Arboretum, Universal Studios California and Florida, and the Los Angeles County Museum of Art’s Rodin Garden and Japanese Pavilion, among others. 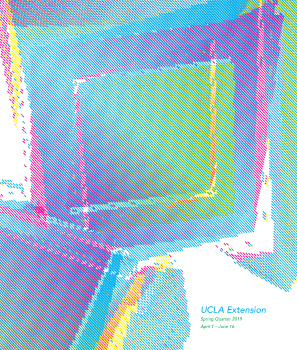 Comstock obtained his certificate in Landscape Architecture from UCLA Extension. Prior to this, he attended the United States International University, where he studied mathematics, physics and fine arts. Paul Comstock - Landscape Architect from Jason Rowlett on Vimeo.